The Iowa Department of Agriculture announce two new probable cases of the bird flu Thursday in Osceola and Cherokee County, bringing the total number of cases in the state to 37. U.S. 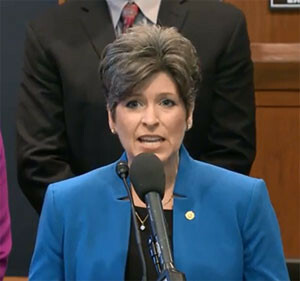 Senator Joni Ernst says the Iowa delegation continues to be “in close contact” with the U.S.D.A. and is encouraging the department provide as many resources as are necessary to help those chicken, egg and turkey producers hit by the bird flu. Ernst, a Republican from Red Oak, says she was able to talk first-hand with some of the Iowans who run egg-laying operations. “They came into my office just a couple of days ago — not in direct response to this — just coming out to talk about egg production. And unfortunately, it was a very somber meeting that I had with them,” Ernst says. Ernst says it has been very tough and stressful on the operators who find out the bird flu has gotten into their operations. “We did speak with one producer in particular who has had to destroy his flock, and it is very difficult right now for these producers,” according to Ernst. The Osceola facility is a pullet farm — birds that grow into laying hens — with an estimated 100,000 birds. The other new case in Cherokee County is a turkey farm and an estimate on the number of birds at the site is still pending. More than 20 million turkeys, chickens and ducks will have to be destroyed in Iowa after the facilities tested positive for the avian influenza.